This artefact reproduces the fine festive saddlebag typical of tradition, faithfully using the ancient artisanal techniques and the typical decoration in black and white with polychrome floral bands. 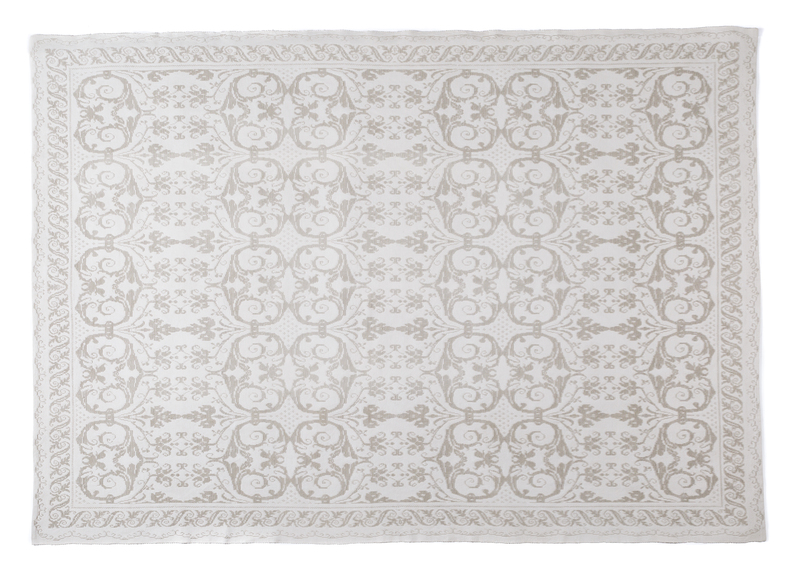 This unique linen bedspread has rich and detailed decorations made in an extremely refined and subtle version of the pibiones relief technique. 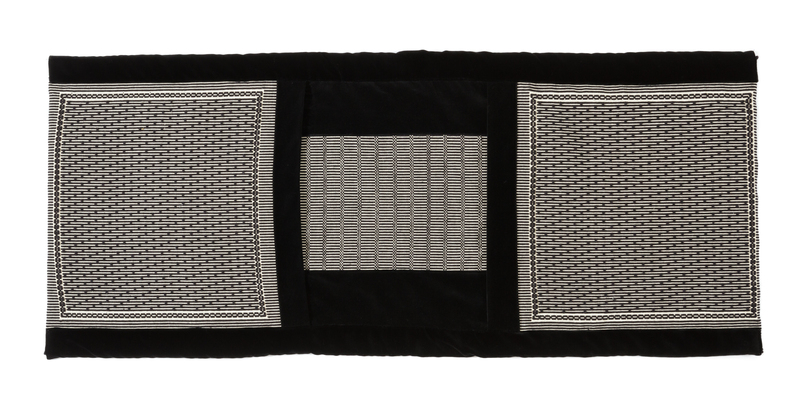 This elegant carpet with subtle black and white striped variations and wide velvet borders is the result of first-class artisanal skill which genuinely reinterprets the ancient woven fabrics of traditional saddlebags. 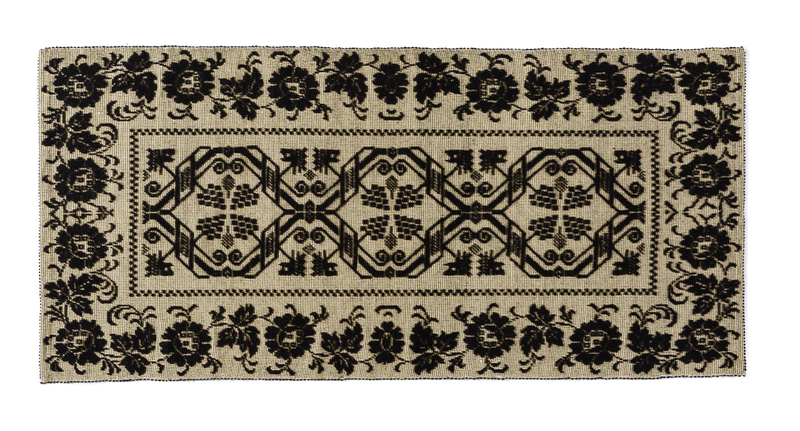 This prized carpet presents the typical motif of the vine, sa mustra de sa ide, with elegant and detailed black floral decorations against a yellow background, evocative of the ancient dowry chest covers for its fine composition and manufacture. This refined reinterpretation of the typical local saddlebag is handcrafted using the battoro in posta technique with compositional virtuosity in the delicate use of black and neutral colours with velvet borders. Isabella Frongia is the keeper of an ancient and fine craftsmanship and thus of a precious cultural testimony from a feminine perspective, which has ties with her family and with Samugheo, a village renowned for its rich and lively textile tradition. Isabella grew up surrounded by yarns and looms and learned to weave from her mother Usanna, a skilled craftswoman who, showing great insight, in the 1960s had set up one of the first well-equipped textile workshops, thus actively contributing to that important moment of transition from a typically domestic activity to an actual profession. Since 1995, Isabella and her cousin Annamaria, under Usanna's wise guidance, have skilfully and devotedly run the workshop, carrying forth the production, which from the very start stood out for the wise craftsmanship in the ancient local weaving techniques and for its expressive originality which follows a common thread with the past. The workshop, which is representative of the context of excellence and expertise characterising Samugheo, participates in the main exhibitions and trade fairs of the local artisan sector, and is always present at the renowned Fiera dell’Artigianato Sardo (Sardinian Handicraft Fair) in Samugheo. The production features refined techniques. 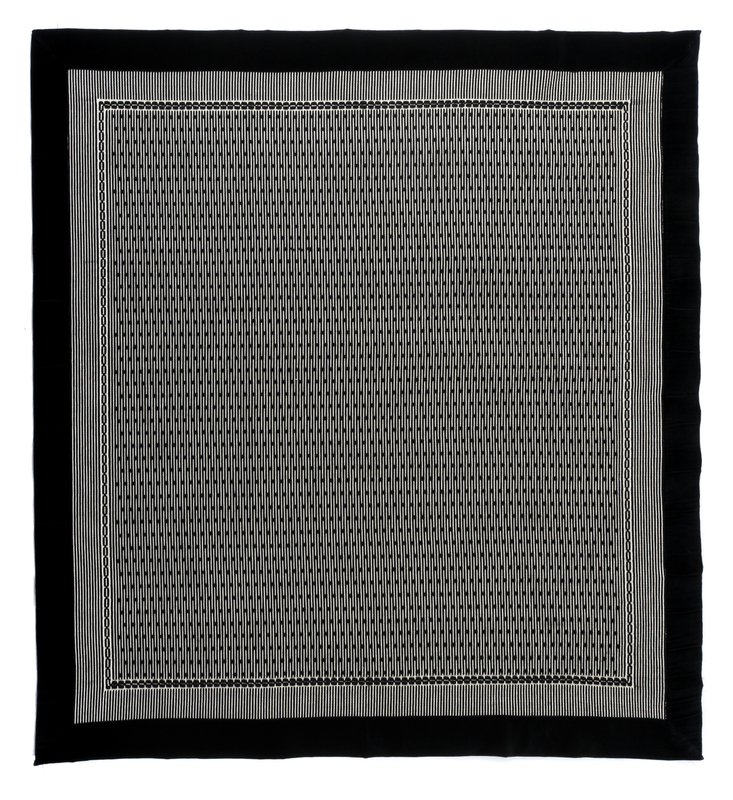 Carpets, bedspreads, curtains, tablecloths and cushions are woven with a variety of handlooms and selected high-quality natural cotton, wool and linen yarns. Each product is completely hand-woven. Weaving is entirely carried out in an artisanal fashion. The most frequently used techniques are those locally called a pibiones, a tauledda and a pannu pranu, which can be originally and meaningfully customised.